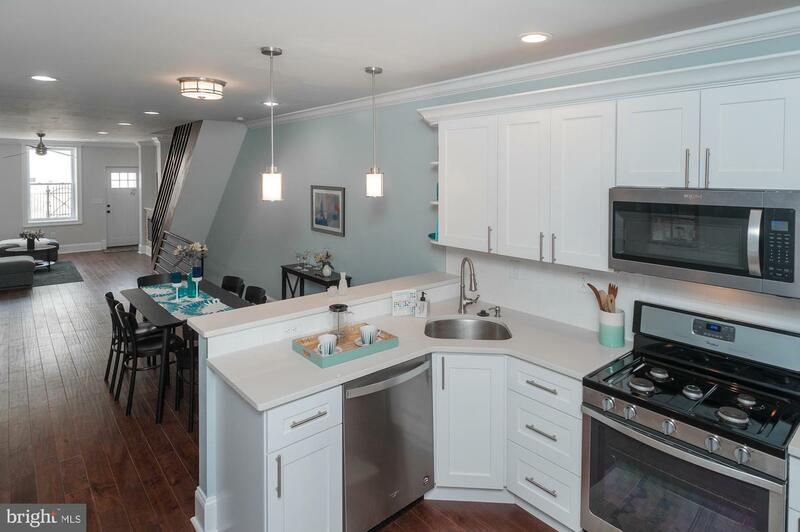 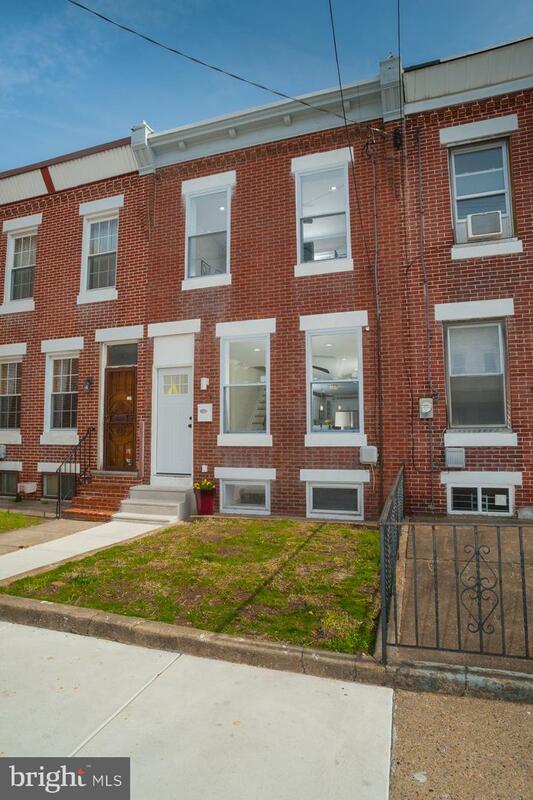 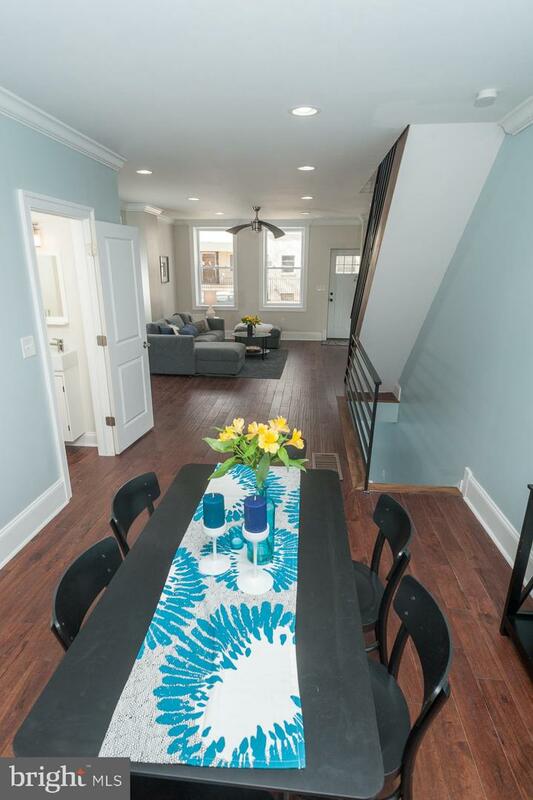 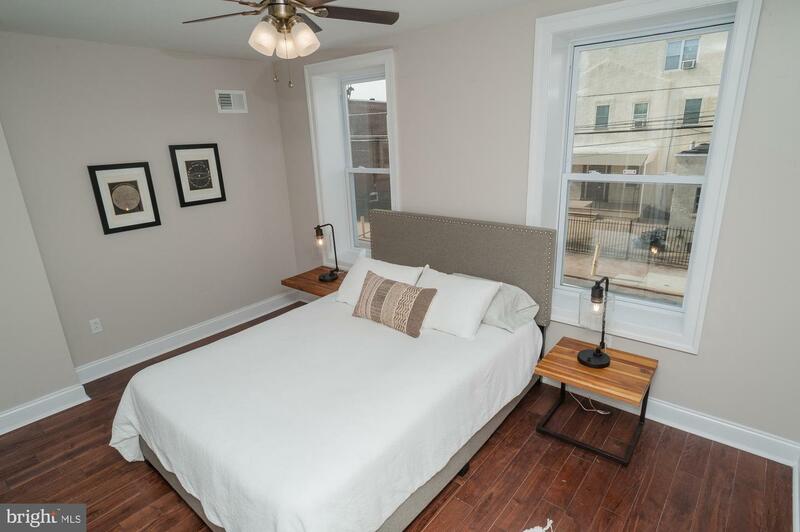 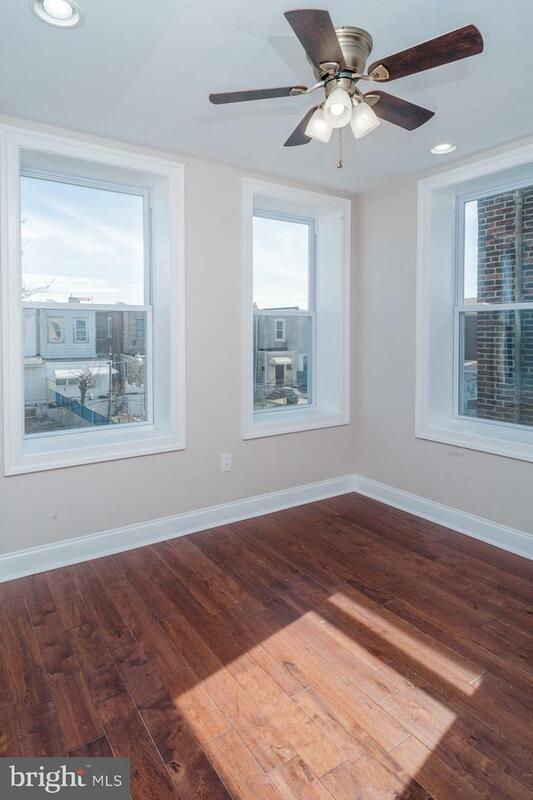 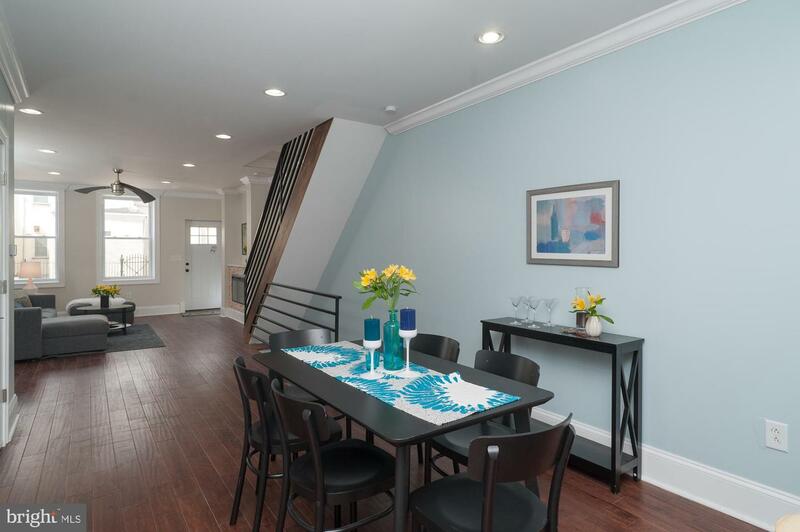 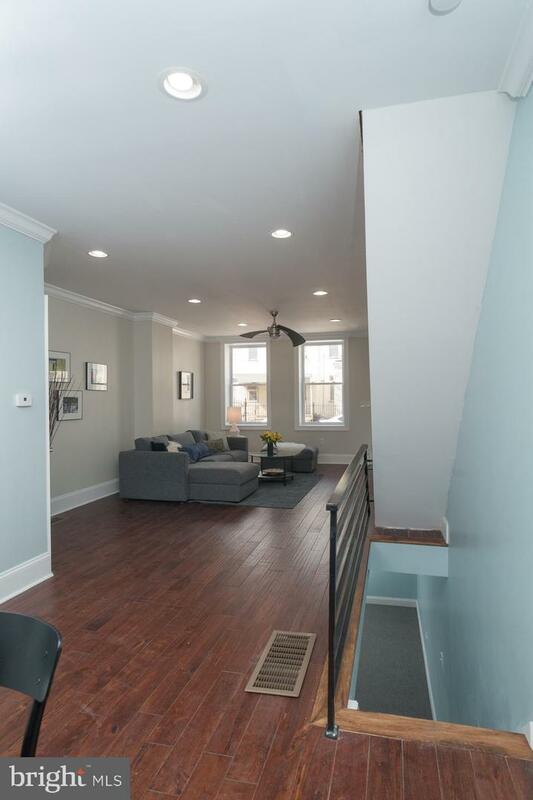 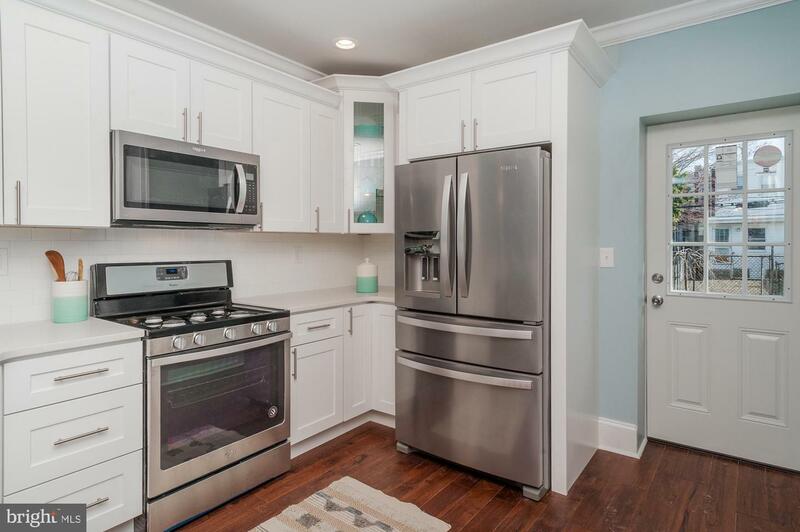 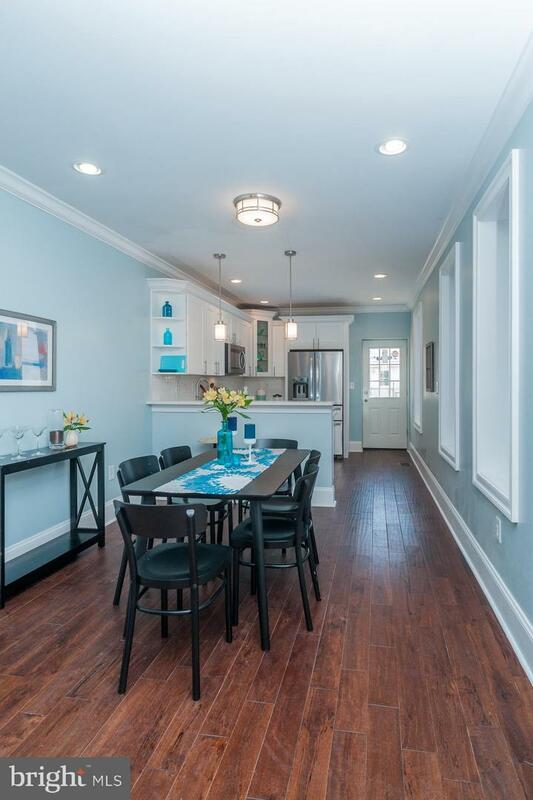 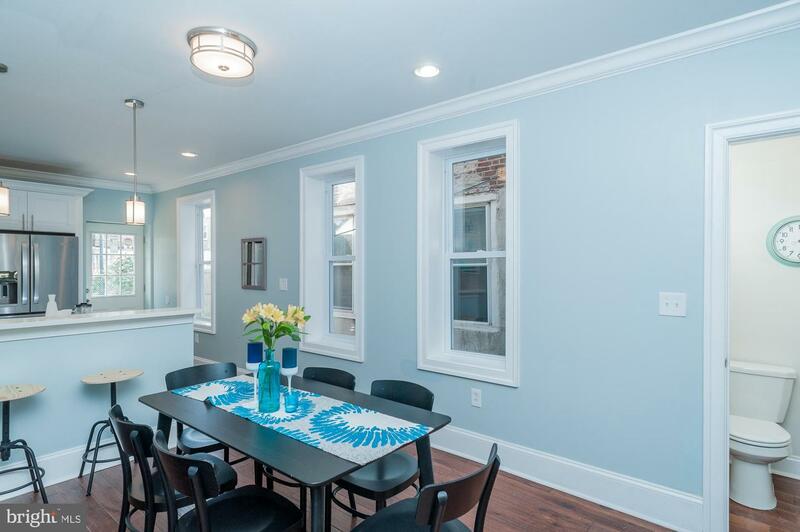 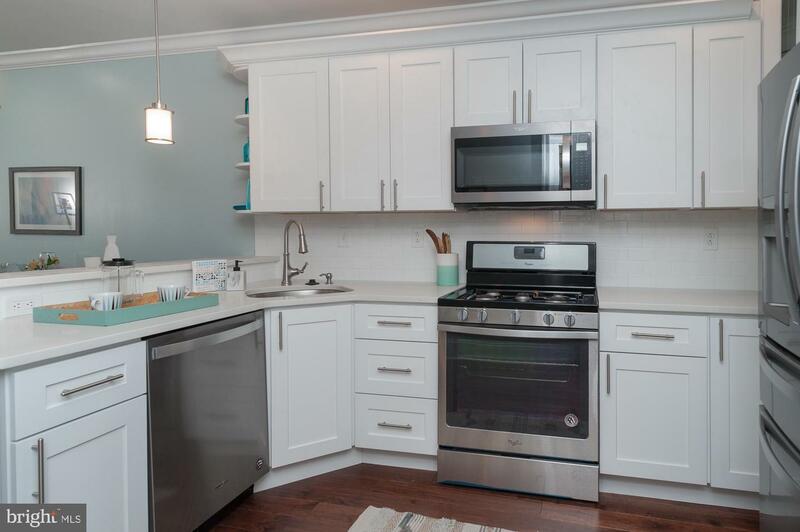 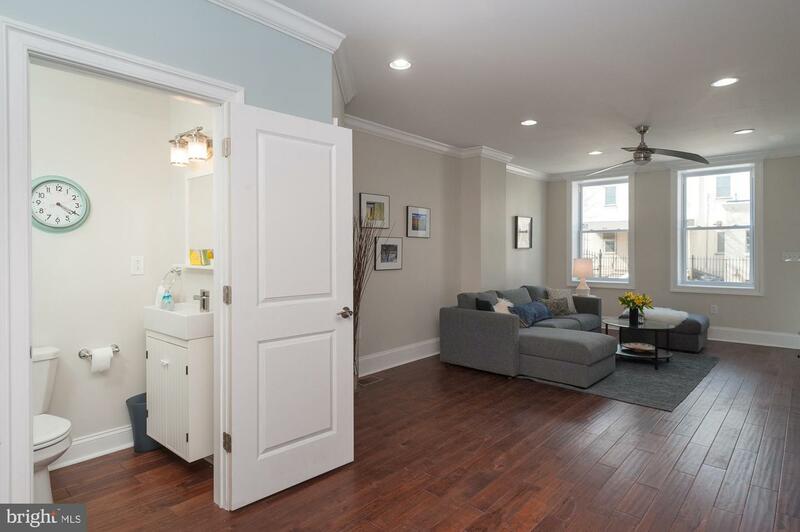 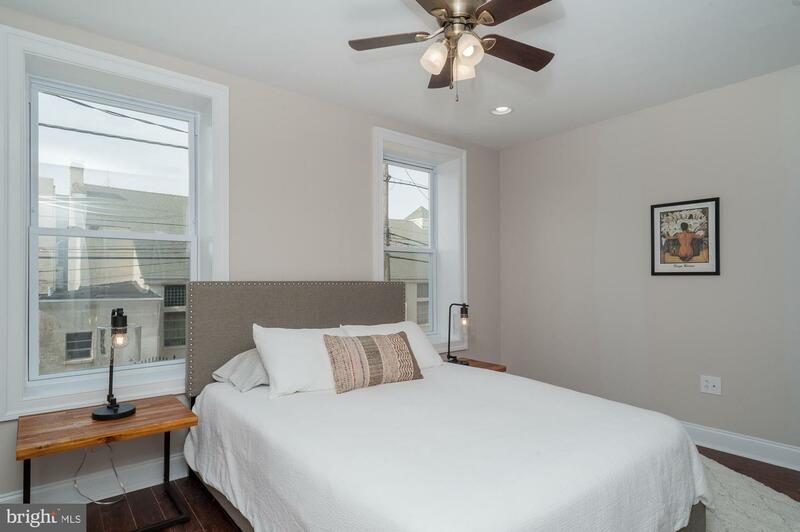 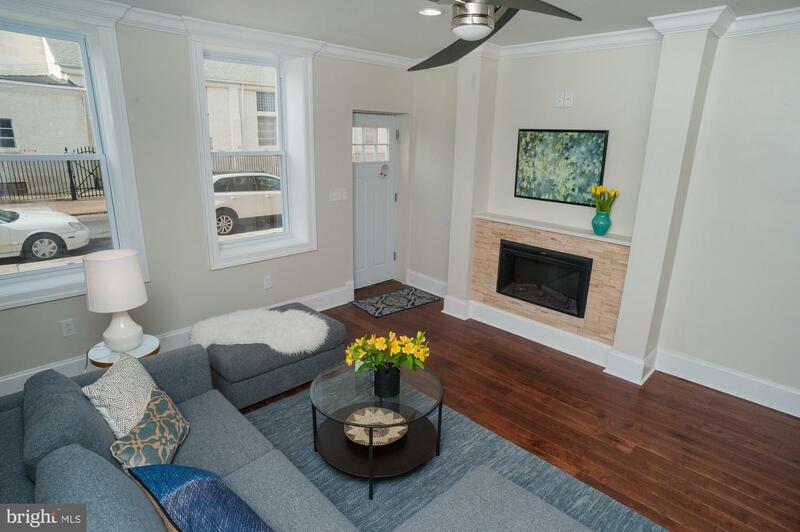 A very rare deep Port Richmond lot holds a truly masterful renovation with no expense spared. 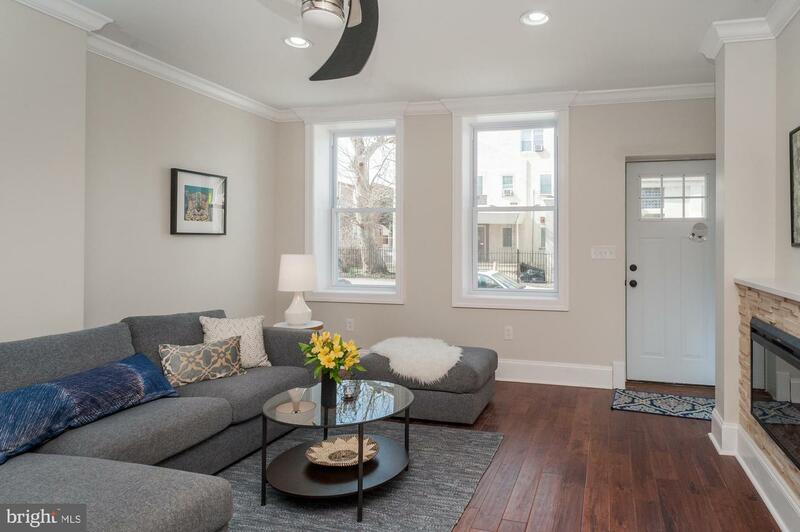 This entire home was rewired, replumbed and is brand new with high end finishes for a discerning buyer. 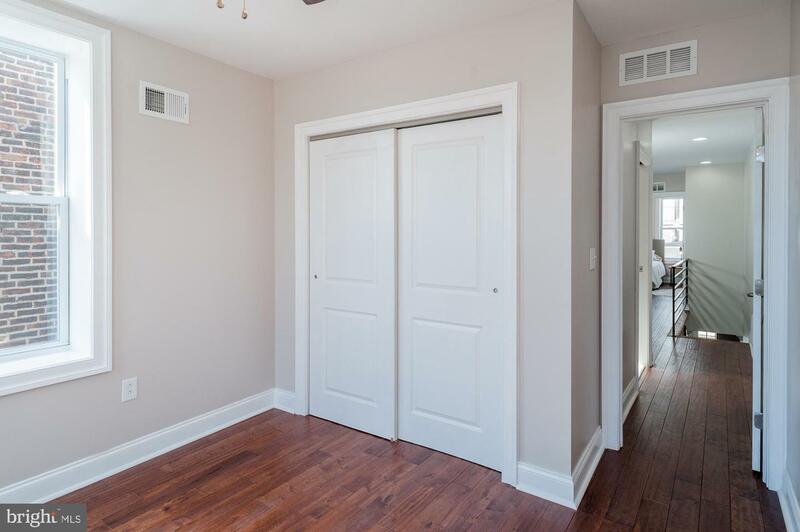 New hardwood flooring throughout with an open layout on the first floor and a living room fireplace and a convenient first floor half bath. 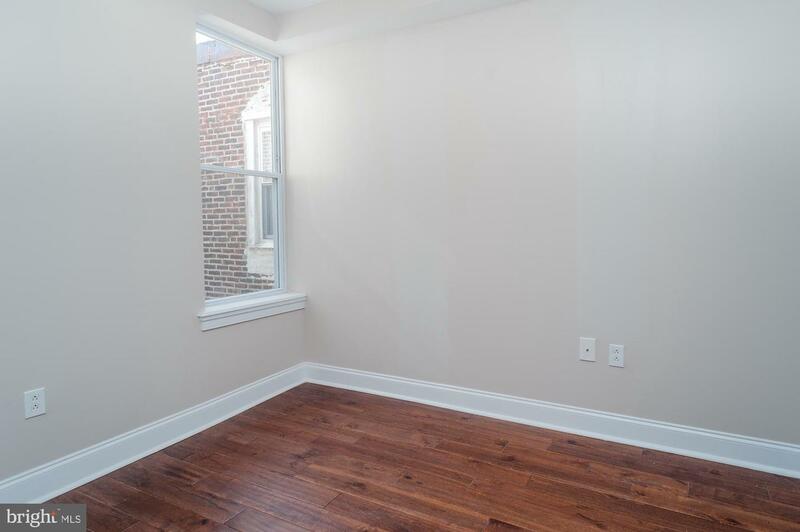 Sunlight pours in on the side of the rear of this home too with also rare side windows. 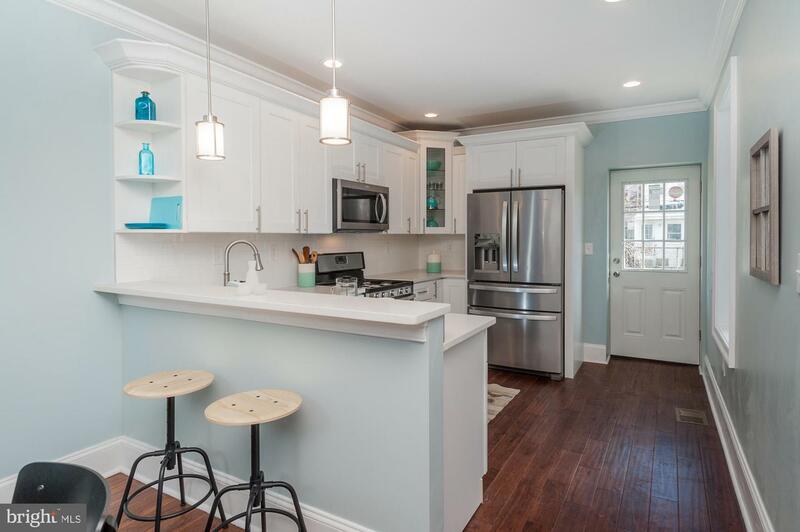 White kitchen cabinets with a bar into the dining room, stainless appliances and a Silestone countertop. 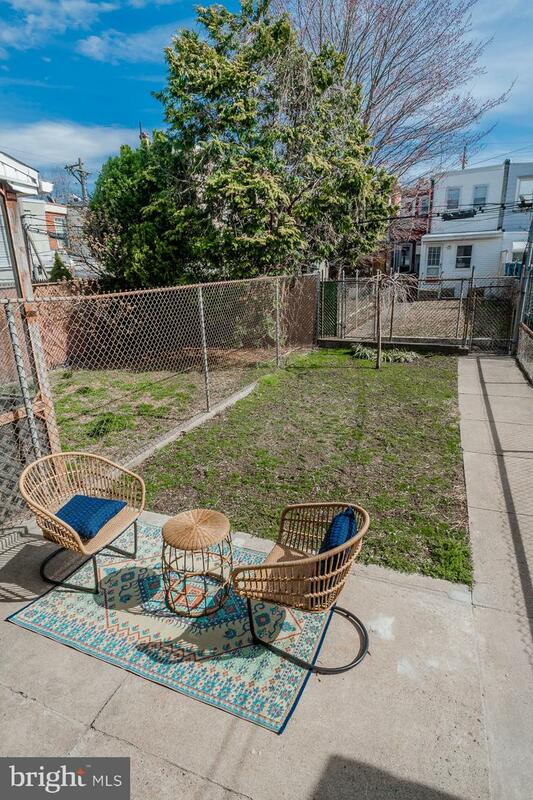 The large backyard is grassy and fenced and is waiting for your summer entertaining and fire pit! 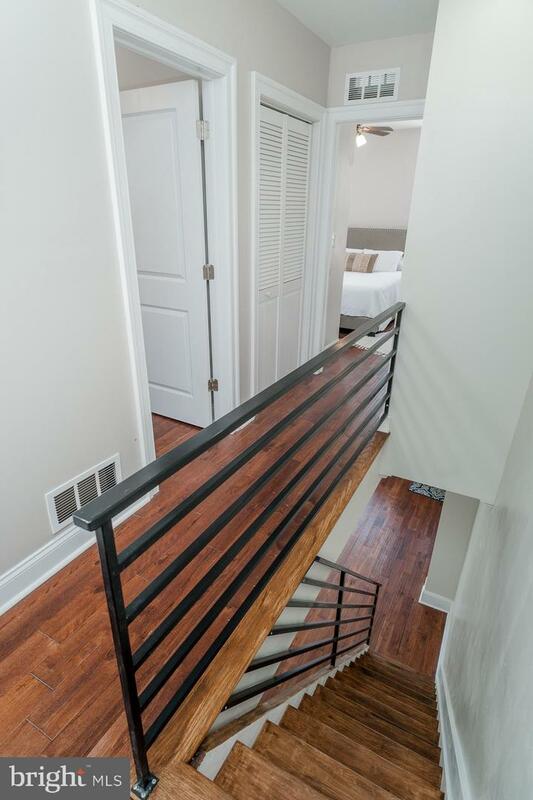 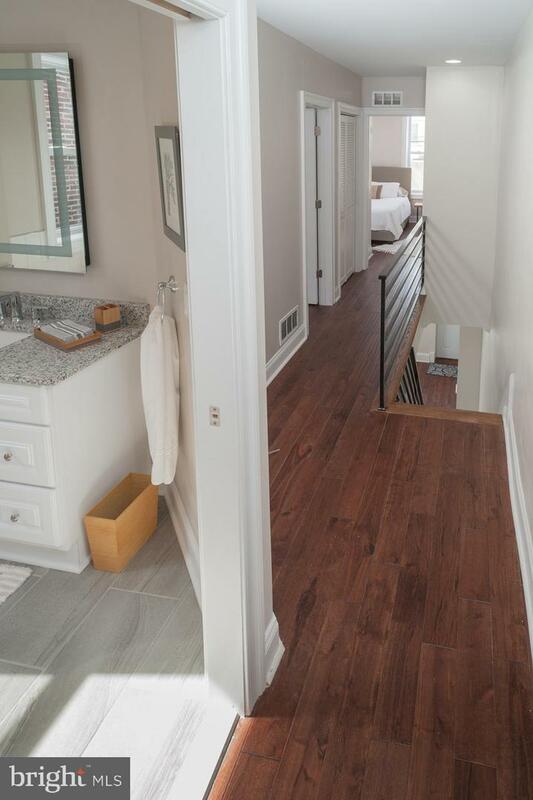 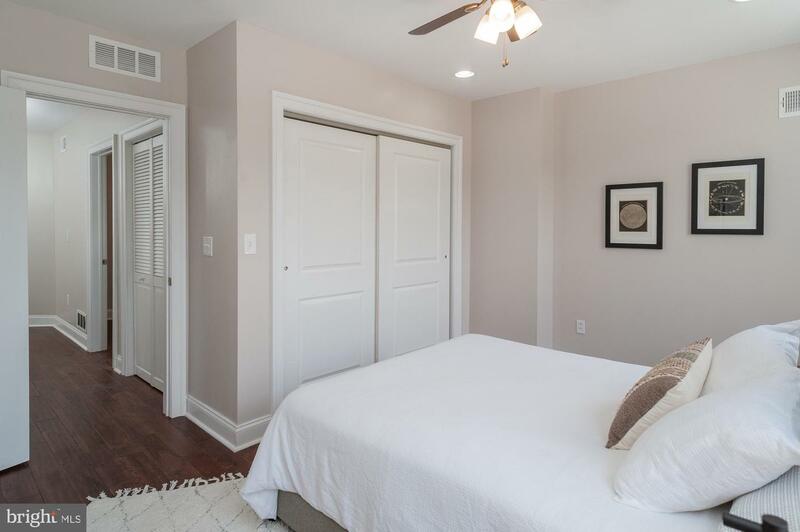 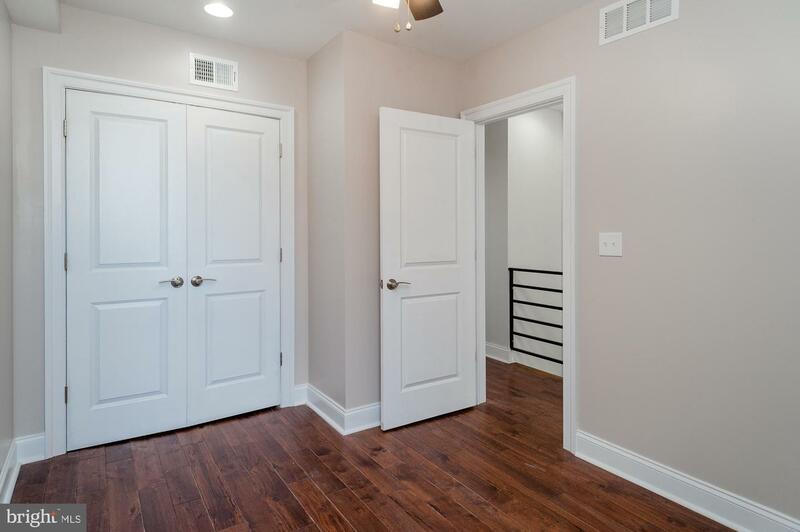 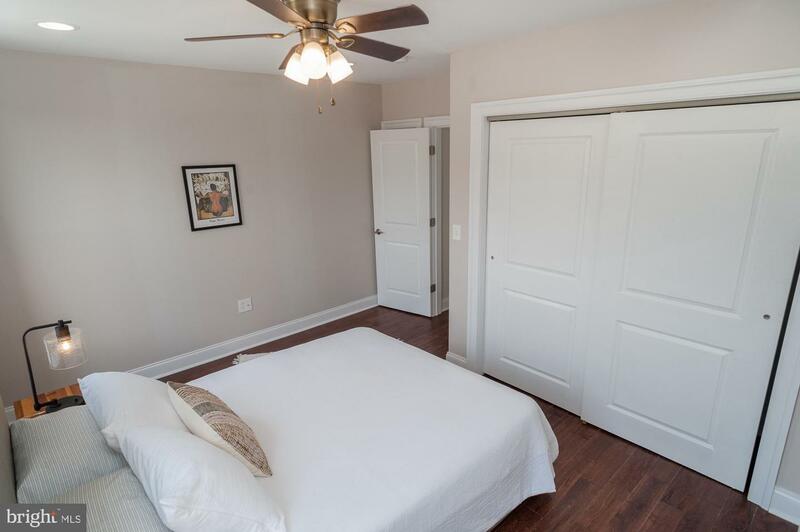 The second floor features a new metal railing up to three generously sized bedrooms, all with good sized closets--good closet space is not hard to find in this home! 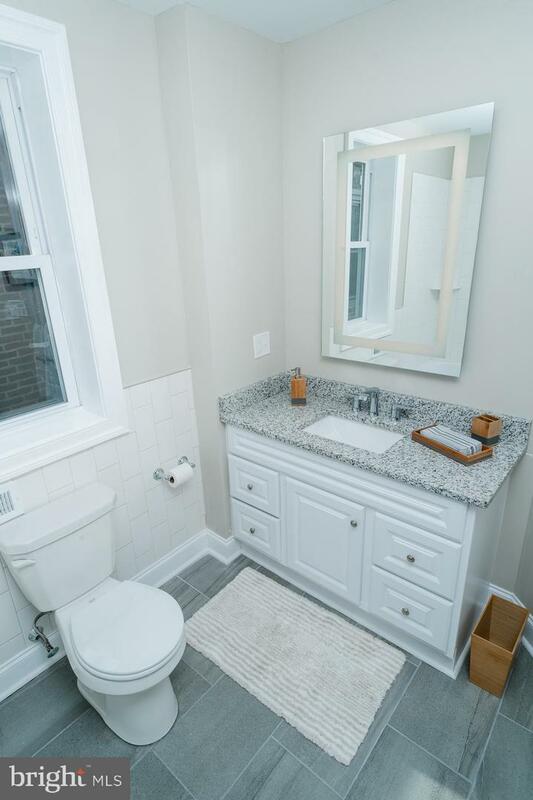 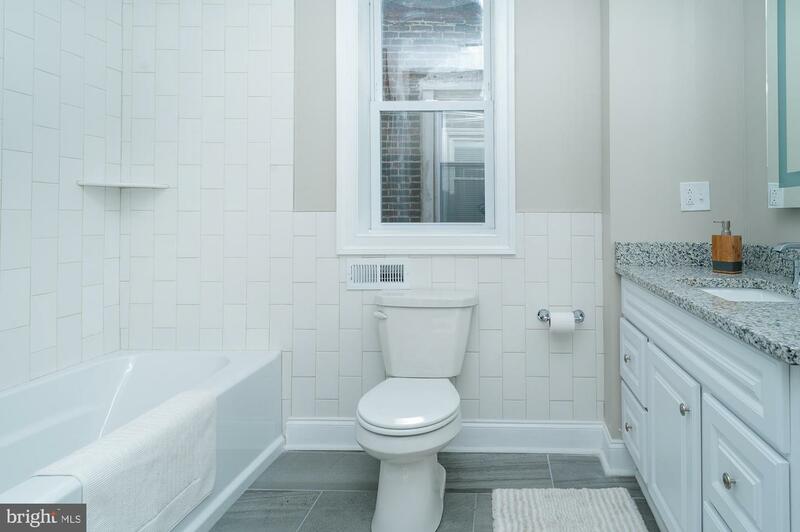 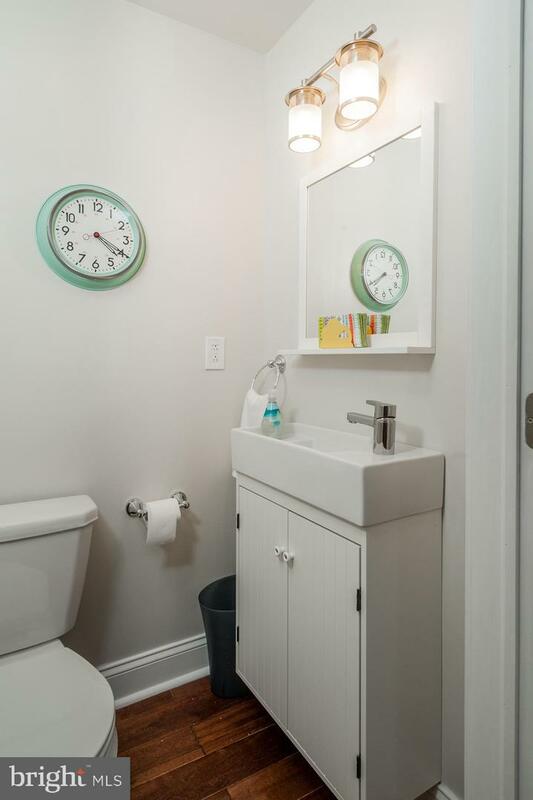 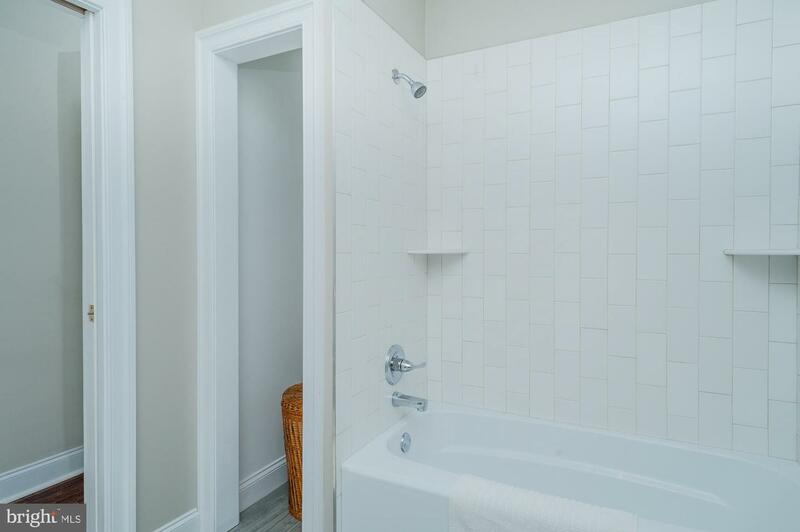 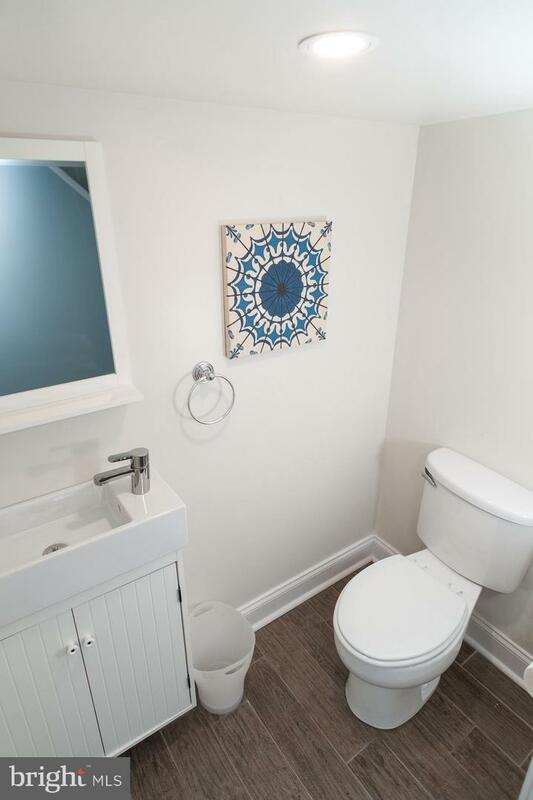 There is a large bathroom with subway tile, granite topped sink with storage and a storage closet. 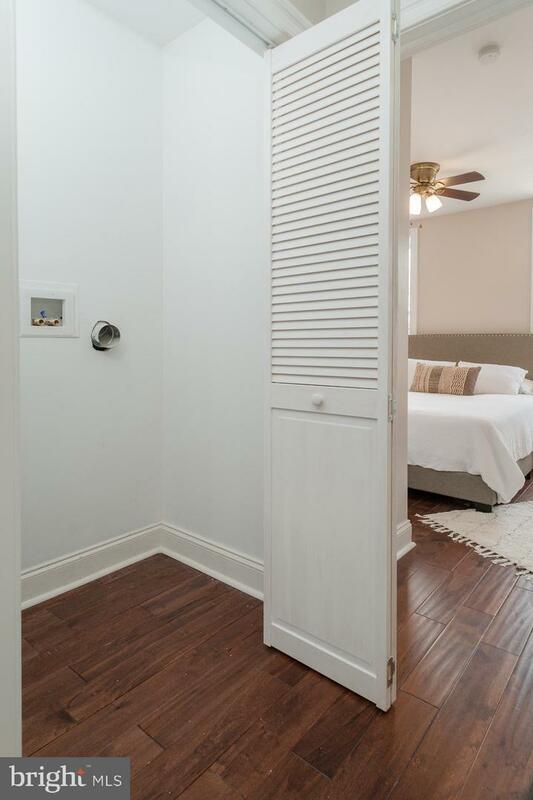 The second floor is also home to a laundry closet. 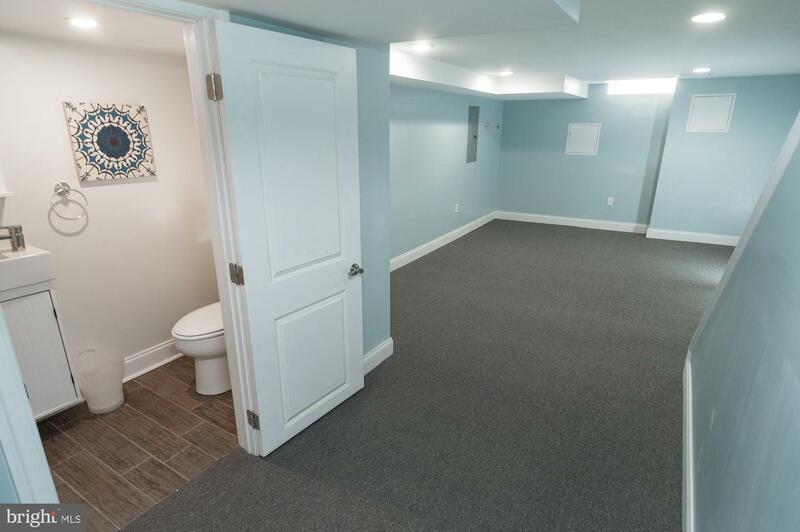 The basement is fully finished and is home to yet another half bath. 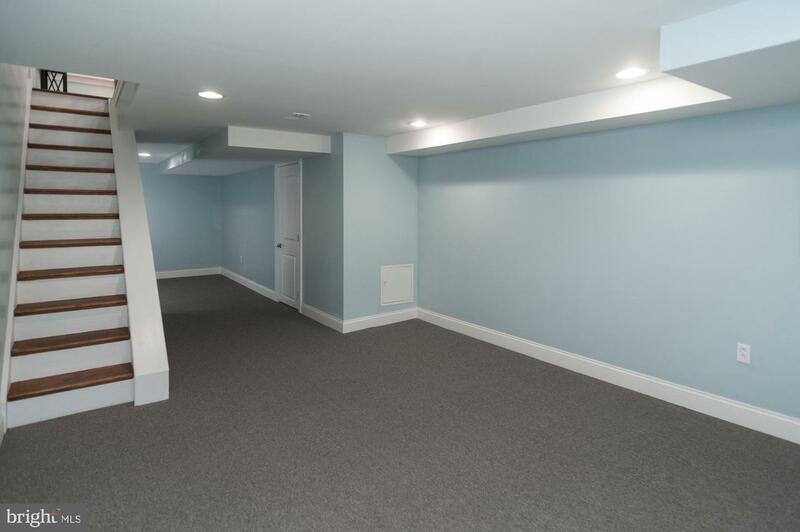 This would make a great play room or family room. 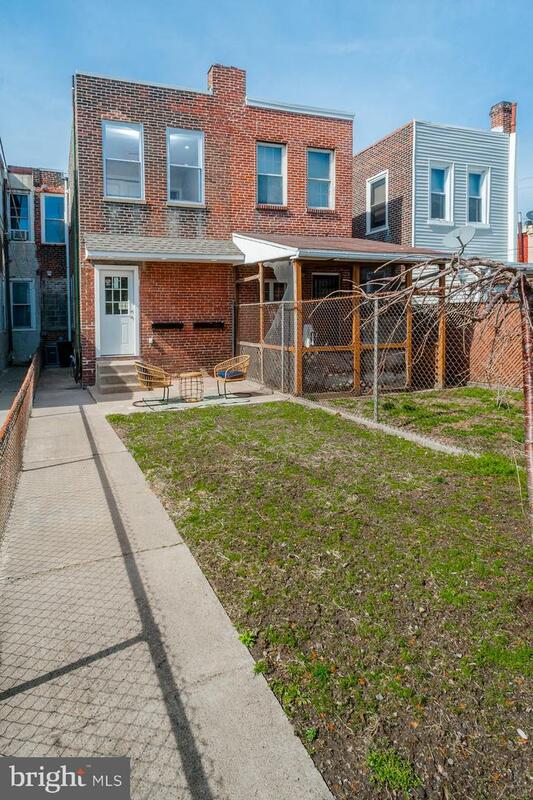 All mechanicals are new.